Join us at the beautiful Hyde Park and choose from a 5k or 10krun around its flat paths - a perfect venue for personal best potential. As always with RunThrough, you will get a themed medal, water, fruit & flapjack on the day. Each kilometre is accurately marked out with distance flags and we have plenty of helpers to keep you on track and to encourage you on your way to the finish. Hyde Park is highly accessible by public transport. If you are using a mobile device, the postcode for the park is W2 2UH, but note this is for guidance only as the park covers a large area. We are starting at the Bandstand which is near the Serpentine Lake. There are car parking facilities available but we recommend that visitors avoid coming by car as there are limited places. Have a look at the Royal Parks Website for details on the car parks within Hyde Park. We will have marshals all around the course as well as KM signs and arrows. Please be aware that there will be spectators and members of the public using the park. 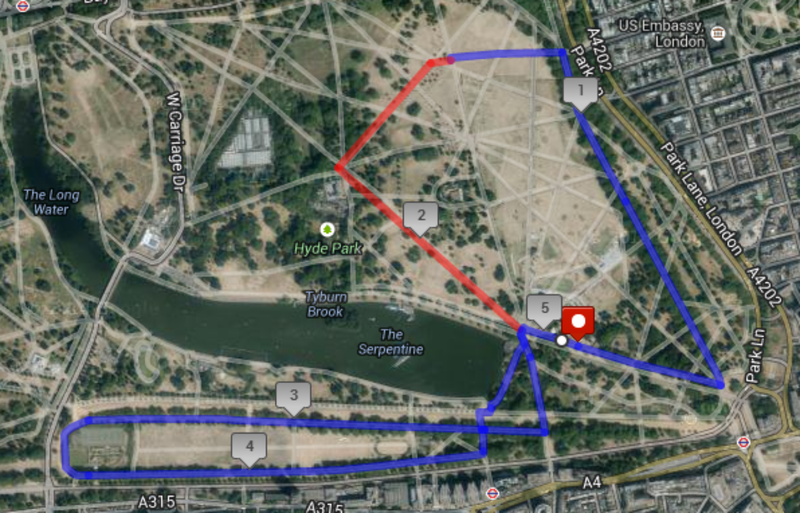 The course is 2 laps for the 5k and 4 laps for the 10k. It was my first race with Runthroughuk and I absolutely loved it. Very well organised with all the support and supplies needed. I would give ⭐️⭐️⭐️⭐️⭐️⭐️ if possible!!! !